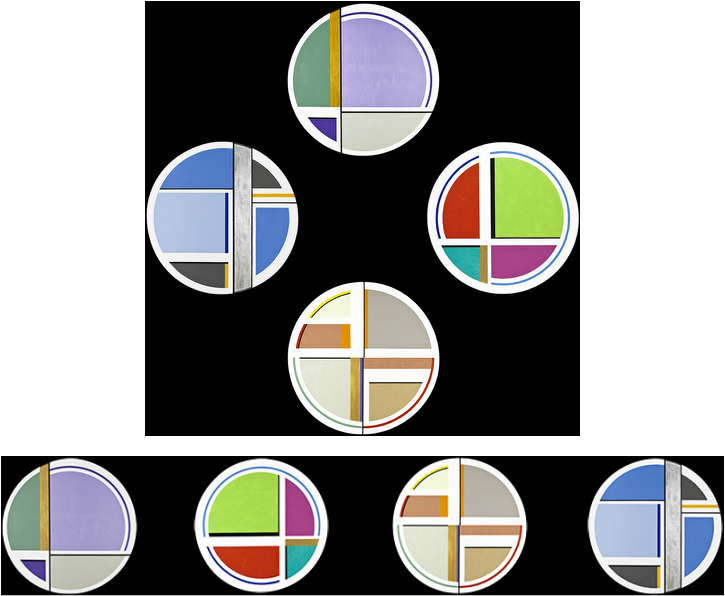 Four unit combination of circles (tondos). One circle for each season. Acrylics on canvas. Dimensions: Each circle is approx. one yard in diameter. When this four unit combination is hung in a diamond pattern, the total dimensions are about 9 1/2 feet point-to-point. When hung as a horizontal combination total dimensions are about 3 feet high by 14 feet wide.